Interventional Radiology is a rapidly growing area of medicine. Interventional radiologists are physicians who specialize in minimally invasive, targeted treatments performed using imaging guidance. These types of procedures can often replace open surgical procedures. They are generally easier for the patient because they involve no large incisions, less risk, less pain and shorter recovery time. Below is a listing of just some of the procedures that we perform. 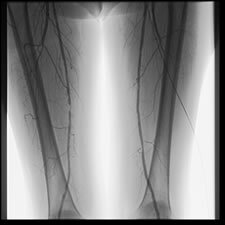 Peripheral Vascular Disease (PVD)/peripheral artery disease (PAD) (Narrowing of the arteries in the legs and arms). Renal vascular hypertension (high blood pressure caused by narrowing of the kidney arteries). Carotid artery disease (narrowing of the neck arteries supplying blood to the brain). Many of these procedures can be done on an out-patient basis but often require an overnight observation period. E.V.A.R. 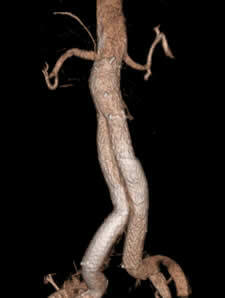 is a relatively new and exciting minimally invasive treatment of abdominal aortic aneurysms. This procedure has several advantages over open surgical repair including faster procedure time and fewer post-procedural complications. 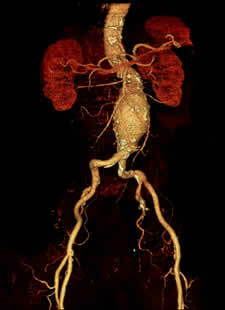 Patients must first be screened with an imaging study such as a CT angiogram in order to assess their individual anatomy. E.V.A.R. is done in collaboration with our vascular surgery colleagues in an operative suite but requires only small incisions in the groins to directly access the femoral arteries. A tube-like stent covered with graft material is place within the aorta to seal off flow to the wall of the aneurysm thereby reducing pressure on the aneurysm wall. Patients are generally discharged home within 24-48 hours following the procedure and are seen on a regular basis with follow-up scans to ensure and adequate response to treatment. Uterine fibroid embolization (UFE), also called uterine artery embolization, is a non-surgical minimally invasive technique performed by interventional radiologists for the treatment of uterine fibroids, benign tumor growths of the uterus. Fibroid tumors, also known as myomas, can cause chronic problems such as heavy menstrual bleeding, pelvic pain, or pressure on the bowel and bladder. Uterine fibroid embolization is done under local anesthesia with a mild sedative and is much less invasive than open surgery for fibroid removal. With mild sedation and under local anesthetic angiographic a small catheter is placed in each uterine artery and small particles are injected to block the small arterial branches that supply blood to the fibroids. As fibroid tumor tissue is starved of its blood supply, the masses shrink, and in most cases symptoms are relieved. The effects are durable with multiple studies showing the fibroid re-qrowth is rare following this procedure. The procedure takes about an hour to ninety minutes to perform and requires overnight observation. Percutaneous vertebroplasty is an image-guided, minimally invasive, therapeutic procedure for the treatment of painful or unstable vertebral body compression fractures. It involves placement of a special needle into the fractured vertebral body and injection of a medical grade cement to stabilize the bone and prevent further collapse. Most vertebral compression fractures (VCFs) are due to osteoporosis, most common in post-menopausal women and in patients with underlying metabolic disorders or on chronic medications, such as steroids. The majority are minimally symptomatic or respond well to conservative measures, such as pain medication and bed rest. For those that don’t, percutaneous vertebroplasty is an effective, non-surgical treatment, with over 80% of patients reporting significant relief of symptoms, with a very low complication rate. The procedure is also used for patients with pain due to metastases or myeloma in the spine. Vertebroplasty is generally performed on an outpatient basis, under local anesthesia with conscious sedation. The procedure itself takes one to two hours, and the patient is observed afterward for two to four hours before going home. Weight-bearing is allowed at this time and the patient may resume normal activities after a day or two of rest. 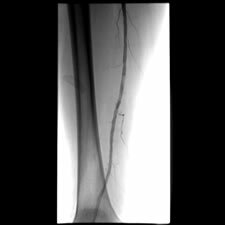 For further information on these and other interventional radiologic procedures go to www.Sirweb.org.